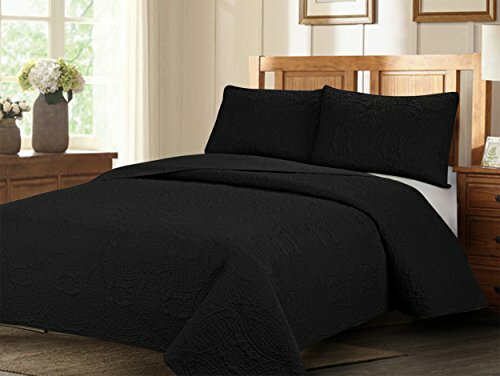 Size:King | Color:Spa High fashion design meets imaginative and spontaneous style with the Vue Atlantis 3 piece bedspread set. 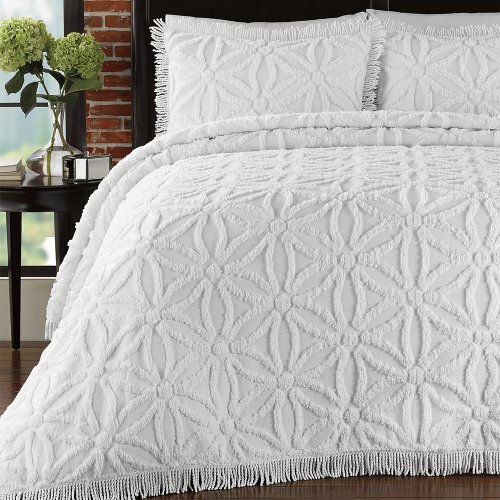 This lovely bedspread features a seashell quilt stitch pattern on a soft, solid ground. 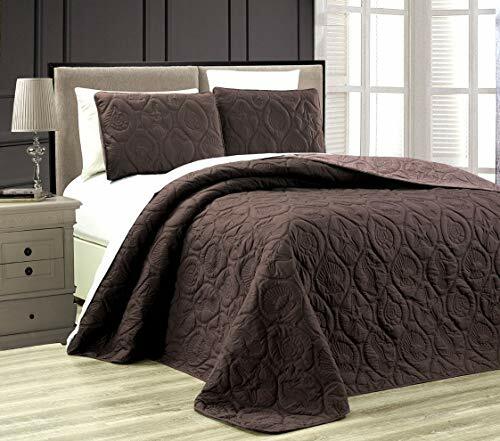 Twin bedspread measures 68x86 and includes one 20x26 sham, queen bedspread measures 90x90 and includes two 20x26 shams, and King bedspread measures 102x90 and includes two 20x36 shams. 100Percent cotton. Easy care, machine washable.